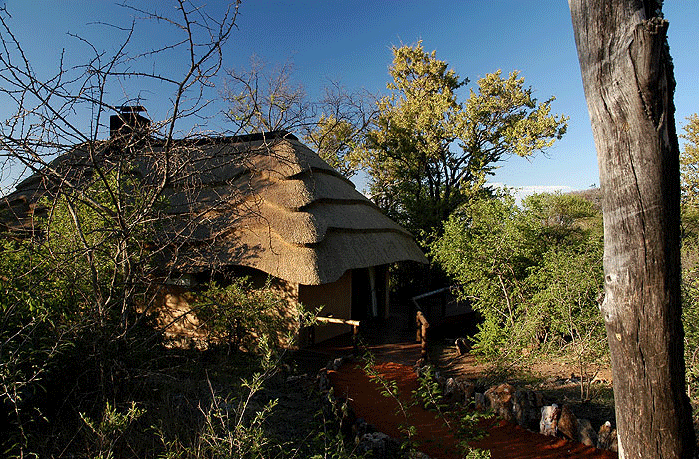 Motswiri Private Safari Lodge lies hidden in the bush on the 75 000-hectare, malaria free Big 5 Madikwe Game Reserve which is located in the North West Province of South Africa. Nestled under a canopy of Leadwood trees overlooking a busy private waterhole, this exclusive and luxurious lodge only accommodates 10 people in 5 luxury bush villas set around a swimming pool. The exquisitely appointed main lodge offers separate lounge, dining and lounge bar facilities – each with its own roaring fireplace in winter. 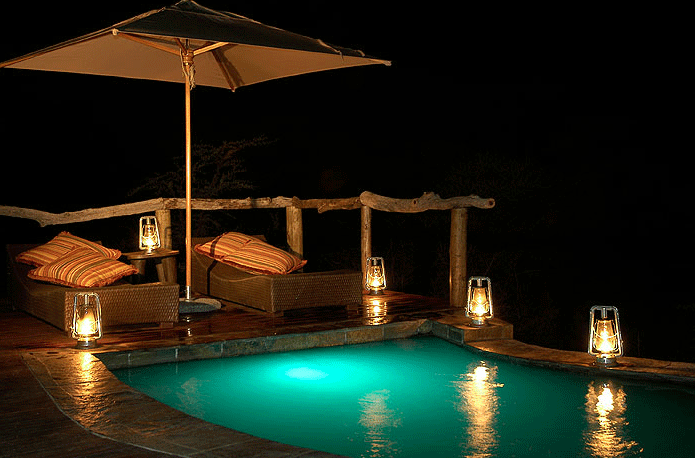 The waterhole is visible from the main lodge area and the rim flow pool. Staff offer a personal service in a relaxed but professional manner and the twice daily game drives are conducted in a specially designed land cruise designed for optimum game viewing by rangers who have superb bush knowledge. All of the Bush Vllas have air-conditioning, ceiling fans, gas fireplaces, beautifully appointed bathrooms en-suite, outdoor rock showers and private wrap around wooden decks. The Luxury Family Villa is a fully equipped unit that can be booked as a self-catering option or full board option. 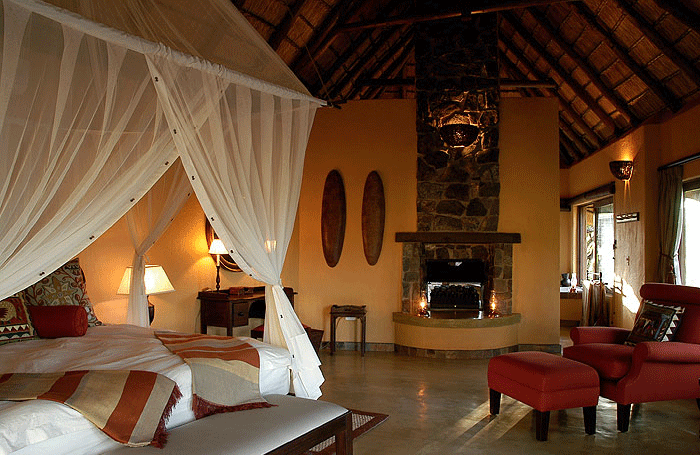 The Family Villa has 3 bedrooms all en-suite with air-conditioning. The three rooms lead onto the private lounge area leading out onto a private deck and pool. Children of all ages are more than welcome at Motswiri. The lodge’s Child policy has been designed to make family holidays more affordable whereby children up to 4 years of age stay free of charge and children between 5-14 years only pay 50% of the adult rate. Children will receive an activity pack when arriving at the lodge containing an assortment of activities. Children 6 years and younger may be allowed on the game drives but this will be at the discretion of the rangers. Children are also taken on bush walks inside the enclosed area of the camp. During these walks, they will look for and identify different bugs, dung, plants etc. 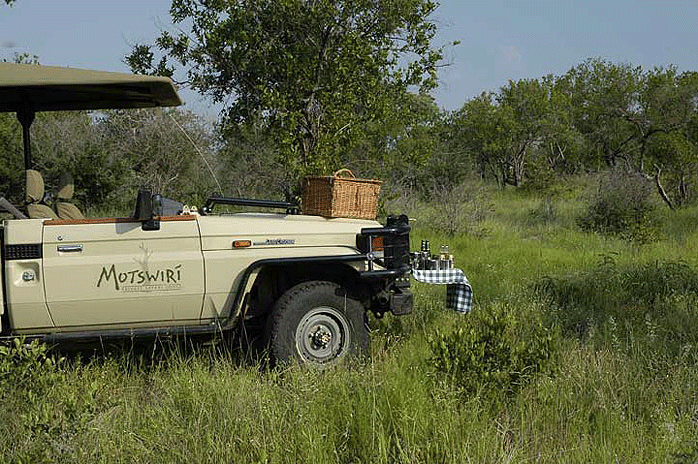 Younger children that are not able to go on the game drives are taken on a very special “kiddies bumble” after breakfast. Special kiddies meals are available to be ordered when arriving at camp. Babysitting facilities are available on request. This will ensure that parents have peace of mind knowing that their children are well taken care of by qualified child minders. A range of spa treatments consisting of a full body, back and neck massage are offered at the lodge and can be enjoyed in the privacy of the guests rooms. Manicures and pedicures are available.